Only 1 drawer at a time can be opened to ensure stability and prevent tilting. All drawers have 100% extension for easy access, and a central locking system. Powder coat grey steel frame with blue fronts. Maximum weight capacity of 75kg per drawer. Full width ergonomic handles which can be labelled. Ideal for storing small tools and medium size parts. Drawer depth 650mm. 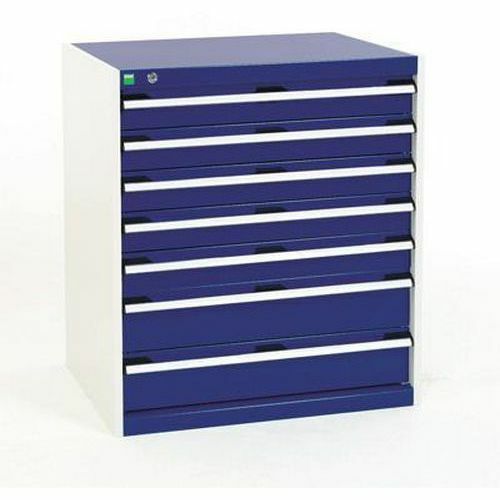 Create a safe, well organised storage space with high capacity drawer cabinets.